Most people think car accident injuries involve cuts, bruises, and other visible signs of trauma. However, invisible injuries such as hearing loss can also occur. If you've suffered hearing loss in a car accident caused by another driver's negligence, you are entitled to seek compensation through a personal injury claim. The airbags in a vehicle deploy with high pressure, creating sounds that can damage the sensitive structures in the ear. An airbag can deploy at decibel levels of up to 170 dB. In comparison, a loud rock concert is only between 115 and 129 dB. The phantom ringing in your ears experienced after exposure to loud noise is called tinnitus, although some people describe the sound as a buzzing, clicking, roaring, hissing, or humming. Sometimes, this condition is only temporary. However, it is possible to experience permanent tinnitus due to airbag deployment in a car accident. Tinnitus may be accompanied by vertigo, which is a condition characterized by dizziness and difficulty with balance. Some people may also experience nausea, vomiting, or sweating related to the condition. The force of the injury may damage the tiny bones in the middle ear or fracture the cochlea. The brain may no longer be able to process sound effectively. When a patient suffers a TBI, doctors tend to focus on the most visible signs of injury. 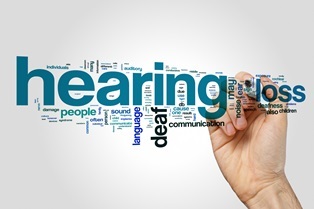 Sometimes, this can lead to hearing loss being initially mistaken for cognitive impairment or communication deficits. Louisiana law generally allows you one year from the date you were injured to file a personal injury claim. You can file a claim for damages even if you were partially at fault for the car accident that caused your injuries. However, your settlement will be proportionally reduced by your assigned percentage of fault. Emergency medical care, diagnostic tests, and the initial fitting for a hearing aid are some of the expenses that should be included in your claim. Hearing aids typically need to be replaced every three to five years and require regular maintenance to function properly. It’s important to plan for this expense as part of your settlement. Hearing loss and other car accident injuries may leave you unable to work during the initial recovery period. If your job requires you to be able to hear clearly such as a position involving customer service or telephone work, you may need to find a different occupation. If you've suffered additional injuries, you may be unable to work at all. Your reduced earning potential is an important part of the personal injury settlement. Hearing loss can lead to depression and social isolation because of a reduced ability to communicate with the people around you. These emotional effects, as well as the physical pain associated with your injuries, can be included in your personal injury settlement. After a car accident, it's common for the at-fault driver's insurance company to approach you with a quick settlement offer. It may be tempting to accept these funds and try to move on with your life, but you must keep in mind that insurance companies exist to make a profit. They are not concerned with ensuring you have the funds necessary to accommodate the expenses related to your hearing loss. Hiring an experienced personal injury attorney is the best way to protect your right to a fair settlement. Most cases are eventually settled out of court, but your attorney can document your damages, establish liability, and negotiate with the insurance company on your behalf.